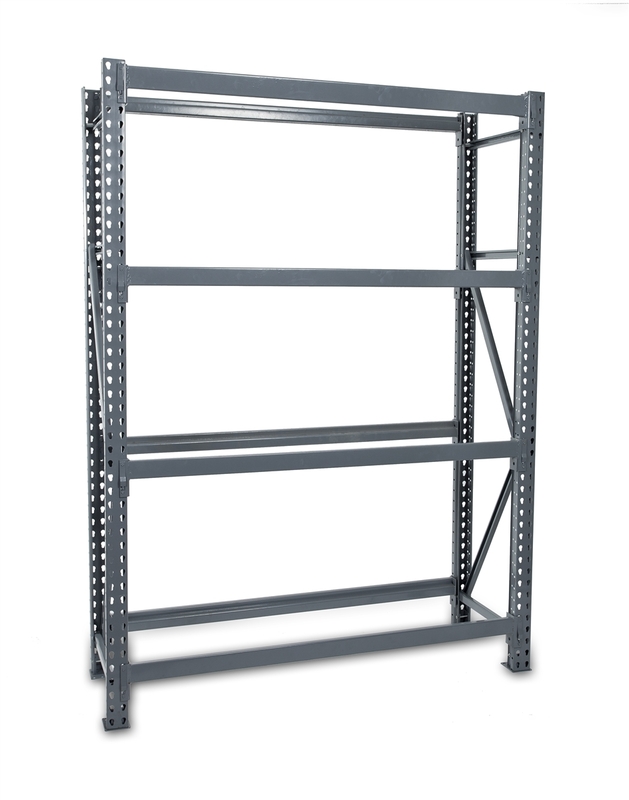 Engineered for optimal endurance for all your warehouse and industrial storage needs, this heavy-duty 4-shelf unit rack measures 72 inches and is supported by horizontal Z-beams. 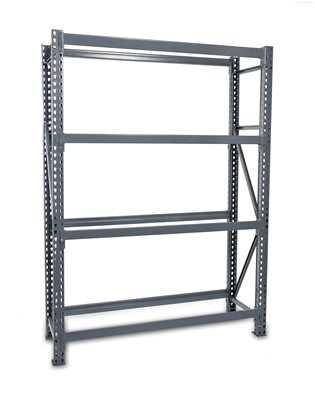 This industrial boltless wide-span metal storage rack is built to last with its unique strong beam steel construction that provides both strength and rigidity for each shelf unit. It’s ideal for a variety of uses, including the storing of large, heavy and bulky items or products. You’ll be able to easily and quickly assemble our Z-beam four-tier shelving in a matter of minutes with our tool-free and hardware-free setup! Find particle board decks in a variety of lengths, along with other boltless shelving parts, on our website.